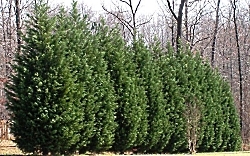 Leyland Cypress are the most popular privacy tree in the U.S. They grow very fast and thicken to create a solid wall. It's feathery texture is soft to the touch. Stays green all year-round, giving you complete privacy. Grows rapidly... up to 3-5 ft. per year! Easily pruned to your desired height and shape. Adaptable to a variety of soils and conditions, even sandy and clay. Space your Leylands 6 ft. apart for a privacy hedge or further apart for a spacious property border. 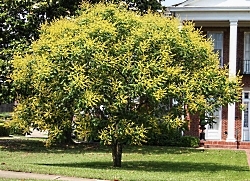 Exceptional dwarf, upright shrub with attractive, fern-like textured foliage. Flat, yellow-green needles provide a long season of color, turning rusty-brown in fall. Papery red bark provides excellent winter interest. Slowly grows in a dense, pyramidal form. Excellent accent specimen or plant in a row for an informal hedge or screen. This variety of dogwood is a hardy, vigorous, upright grower and a prolific bloomer. 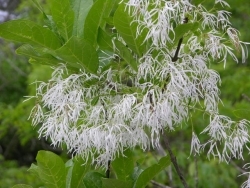 Large, rounded, creamy white flowers bloom in mid to late May. Deep green foliage turns purple red in fall. Celestial is one of the Stellar Series. 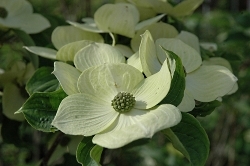 These dogwoods are crosses between the early blooming Florida Dogwood and the later blooming Kousa Dogwood, showing all the best traits of both parents. 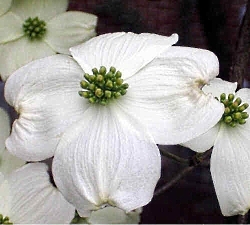 This spectacular, fast growing Dogwood is distinguished by exceptionally large, white flowers - as large as your hand! Summer flowers yield attractive raspberry-like fall fruit. 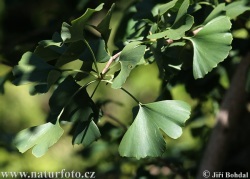 Glossy green leaves will show wonderful fall color. Good tolerance of drought conditions and is highly resistant to disease. Deciduous. 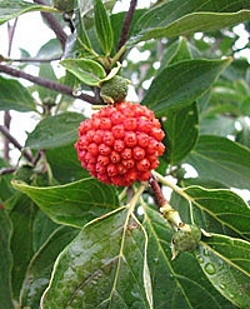 This variety of dogwood is hardy, vigorous, and resistant to insects and disease. Its deep green foliage turns purple red in fall. Beautiful, pastel pink blooms appear in early spring, and are followed up in the fall by showy red fruit. The fruit attracts birds to the landscape. 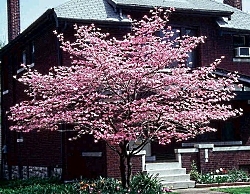 The Pink Dogwood is a small ornamental tree. The pink blossoms will appear in early spring before the leaves. Birds will flock to your tree for the tasty, glossy red berries in late summer. In autumn, your Dogwood will display pinks and reds for a beautiful fall display. The Pink Dogwood would look great in your yard as a understory tree or planted along a woods or border as it appreciates some shade.